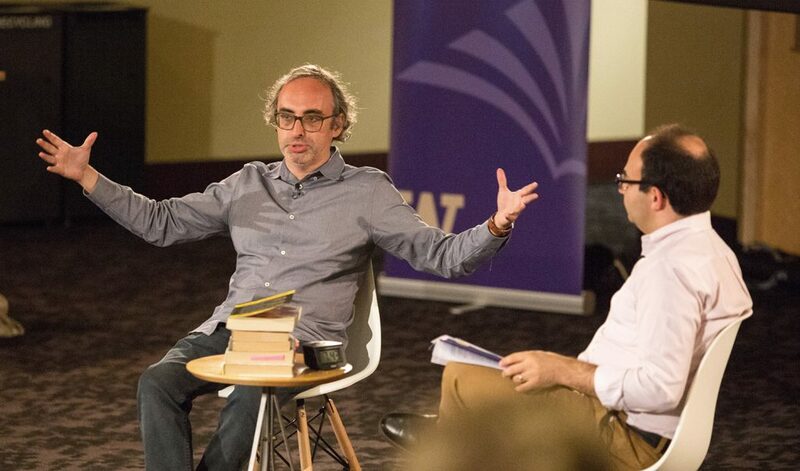 On Monday, May 7, 2018, over 400 people poured into the main auditorium of the University of Washington’s Kane Hall for the first night of this year’s Stroum Lectures, which featured novelist Gary Shteyngart. 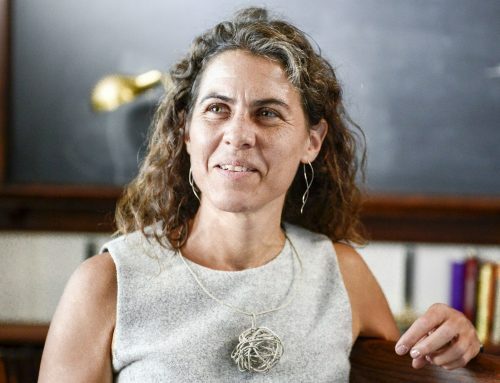 Had you unknowingly stumbled into the room, you’d be forgiven for thinking you had walked into a sold-out comedy show, rather than an academic lecture or literary reading. 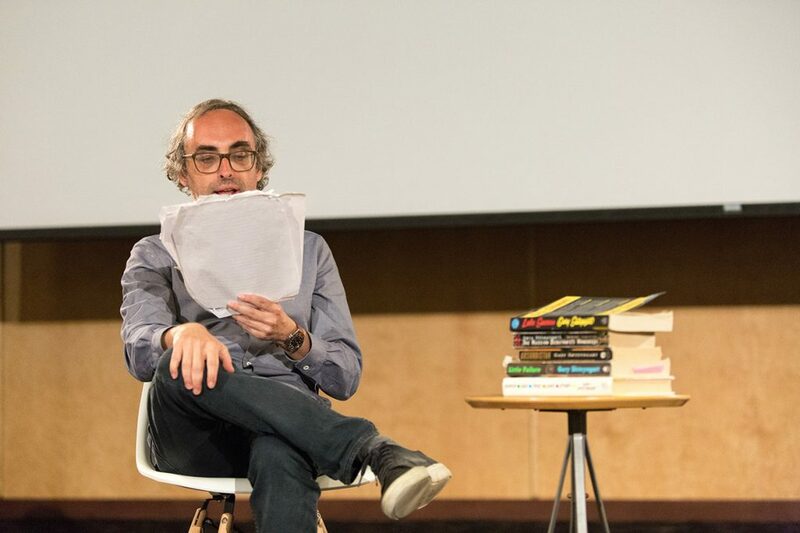 As Shteyngart sat onstage, conversing with Assistant Professor of Slavic and Jewish Studies Sasha Senderovich about everything from the horrors of growing up as an asthmatic Jew in the Soviet Union to how his first three novels eerily predicted–among other things–Tinder and (former) Trump lawyer Michael Cohen, the audience howled. And it didn’t let up. From his opening jab at Seattle’s abundance of (unaffordable) condos to his ’80s Brezhnev jokes (so resonant and funny because they work just as well for Trump), Shteyngart’s singular brand of Soviet-inflected Jewish American humor had the audience cramping up from their cheeks to their bellies all night long. Still, Shteyngart quipped that times were tough for a satirist. 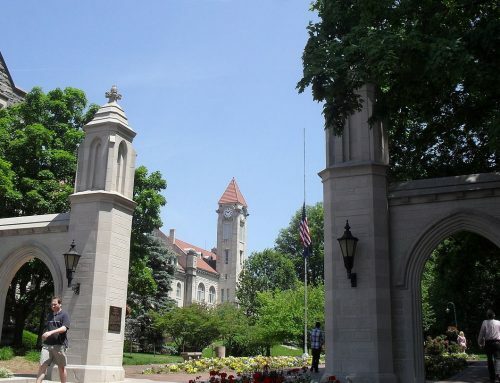 When the news itself reads like satirical fiction, what is a writer like Shteyngart to do? Who needs Absurdistan (2006) when we find ourselves living in Trumpistan? Gessen provides examples of subversive jokes from the Soviet Union (like those recently declassified by the CIA) and life under Putin (not including my personal fav: “Vladimir, will there be an ‘Iron Curtain’ again?” Putin: “No! The regular barbed wire will do”) as parallels to, if not ancestors of, the type of humor that currently dominates Saturday Night Live sketches and The Onion’s headlines. It’s a type of humor that Shteyngart grew up with, then deftly repurposed to create a literary style all his own. 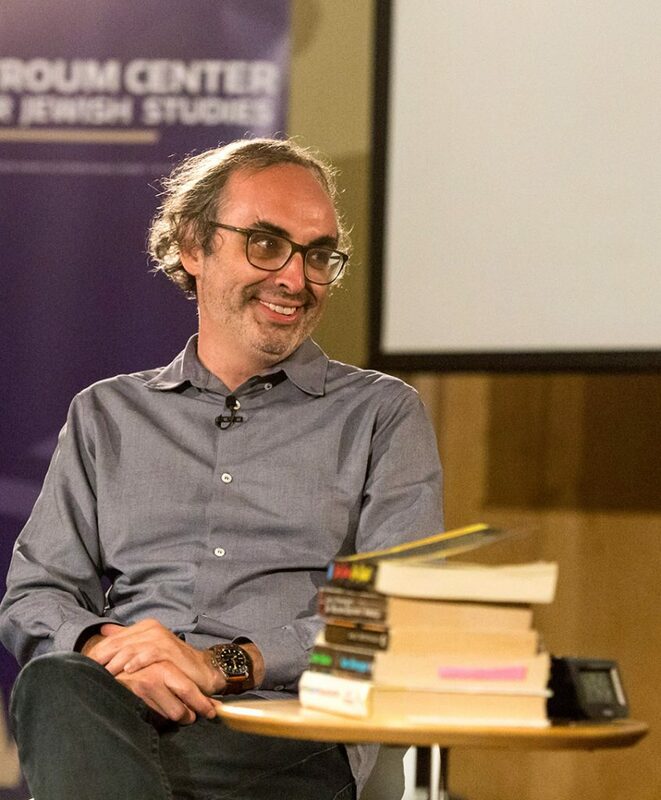 A “Grain Jew” who immigrated from the USSR to the States with his parents in 1979, Shteyngart’s first three novels all borrowed heavily from his life. 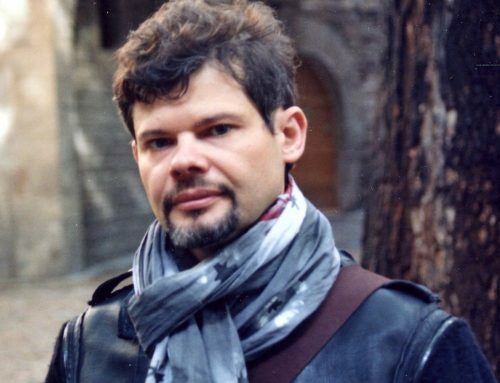 Each features a Russian Jewish protagonist, through whose Soviet sensibilities American life is variously filtered and refracted, laying the absurdity of our awful-beautiful world uncomfortably, and sometimes poignantly, bare. 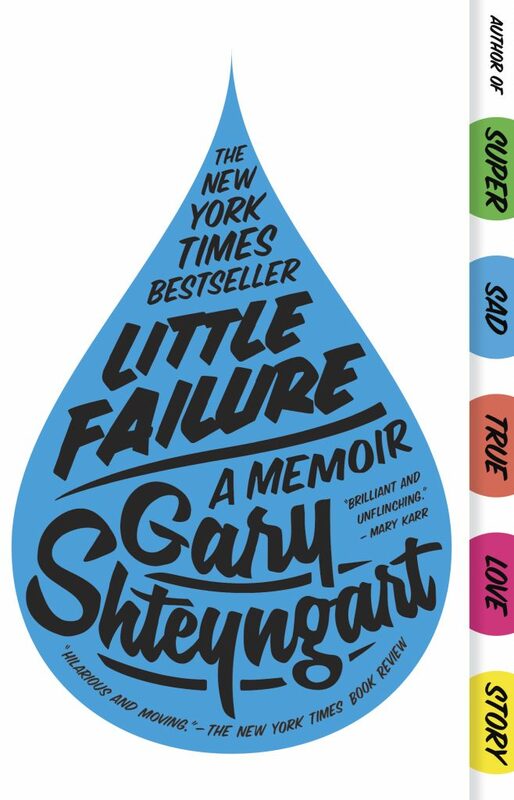 But as we learned on Monday night, Shteyngart’s fourth book, Little Failure, was meant to mark the end of an era. 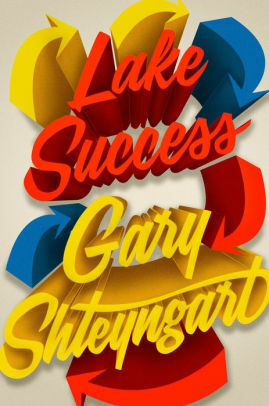 Not only did the project find Shteyngart working in a new mode, but the book was also intended as a sort of “fire sale” of personal material. The plan was to painstakingly mine his past of every last detail so that there would be none left for his future fiction. But there was a tender motive for Little Failure, too. Shteyngart, now a father, wanted to recount for his son what life had been like in (and after) the Soviet Union. In order to do so, Shteyngart said he couldn’t “hide in humor” or in the familiar satire of his previous works. But that doesn’t mean the book isn’t funny. It’s hilarious—a hilarity that Shteyngart attributes to the Soviet jokes and uncanny sense of the absurd that served as a mode of Soviet survival, and that described not only his childhood in Leningrad, but life in his family’s NYC home, a Russian-only zone hermetically sealed off from American culture, including television. In many ways, Little Failure allowed Shteyngart to engage in a studied exploration of the roots of his humor and the different forms of laughter—both empowering and not—that defined his life. 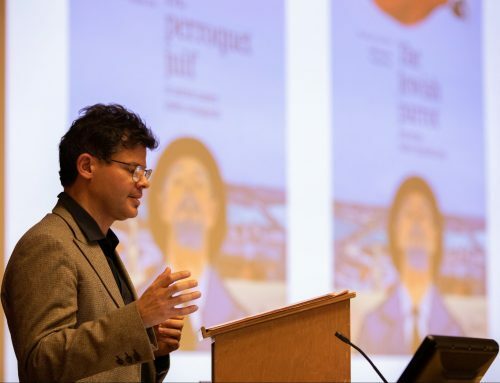 In many ways, this surprising historical twist speaks as much to why Russian Jewish protagonists have gone missing from his latest novel, Lake Success, which comes out in September and from which the second night’s audience was treated to the first ever reading. Living in Trump’s America, Shteyngart no longer needed to mine his Soviet past. His best material sat right in his Twitter feed, awaiting the Shteyngartian treatment. And that’s exactly what it got. As promised, Lake Success’s main protagonist is not a Russian Jew, but a breathtakingly loathsome Jewish American hedge fund manager by the name of Barry Cohen. It is set not in some distant dystopia, but in the 2016 America that elected Trump. When we first meet Barry, his torturously curated life—one in which he collects people like he does antique watches—is falling apart. Under investigation by the SEC and unable to come to terms with his three-year-old’s diagnosis of autism—a word he and his wife can barely bring themselves to say aloud—Barry decides to flee the cracking veneer of his .01 percent life. But rather than jumping on a private jet and heading off to some landscape inaccessible to most of us, Barry books a ticket on a Greyhound bus (which is what Shteyngart did while researching Lake Success) in search of the America he’s read about in Kerouac novels and seen on HBO, while also hurtling himself toward the distorted nostalgia of his past self. Of course, Barry, whose imagination is constrained by every imaginable American cliché and a total lack of self-awareness, doesn’t find what he’s looking for. Instead, he leads the reader on a journey through the American south that is at once anxiety-inducing, hilarious, and tragic. Throughout his misadventures, Barry encounters the lives of Americans who are completely incomprehensible to him outside the books written by the dead white men he worships, or the stereotypes streamed through the flat screen in his 10 million-dollar Manhattan apartment. But, God bless him, Barry does try. 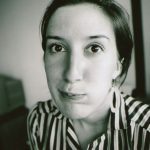 His journey is one propelled by the simple, yet eternally relatable desire for authentic connection—one that has been disabled by the divisive social forces of mass media and capital in the Facebook era. 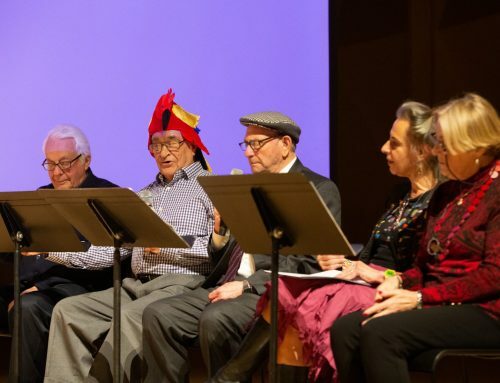 As we all listened (and laughed) while Shteyngart read us an excerpt, it became clear that none of us ever came to Shteyngart’s work for the Russian Jews or the satirical sci-fi. We come to Shteyngart’s work for how he filters our world through his subversively Soviet point of view—one which not only confronts us with our abject reality, but which also allows us to find a bit of hope—or at least hilarity—within it. 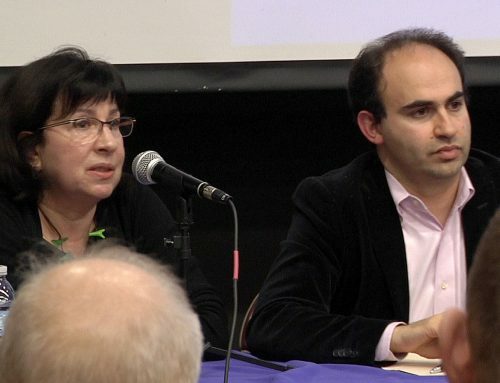 Video recordings of the Stroum Lectures with Gary Shteyngart and Professor Sasha Senderovich are available here.